If your masonry or chimney has cracks or holes then you will need professional tuckpointing service as soon as possible before the damage deteriorates even further. At Chimney Repair NY you will find the most skilled and experienced tuckpointing specialists with commercial and residential experience in New York. We take special care to ensure all mortar tuckpointing and brick repairs are done properly without damaging other brickwork and non-decayed mortar. Request a Free Tuckpointing Estimate or call 1-877-952-7425 today to schedule service. Our professional tuckpointers will help restore the integrity and aesthetic value of your chimney, eliminate water intrusion, and prevent structural compromise by tuck pointing damaged brick work. Weathering and decay over time creates cavities between masonry joints and allows undesirable water penetration. Water is a chimney’s worst enemy because as water enters into these cavities, it causes significant damage through freeze and thaw cycles and from salt dissolution and deposition. We work quickly and efficiently to restore the masonry mortar joints in brickwork to repair the eroding mortar joints and correct defects. Call us today at 1-877-952-7425 to schedule tuck point service or request a Free Chimney Tuckpointing Estimate. 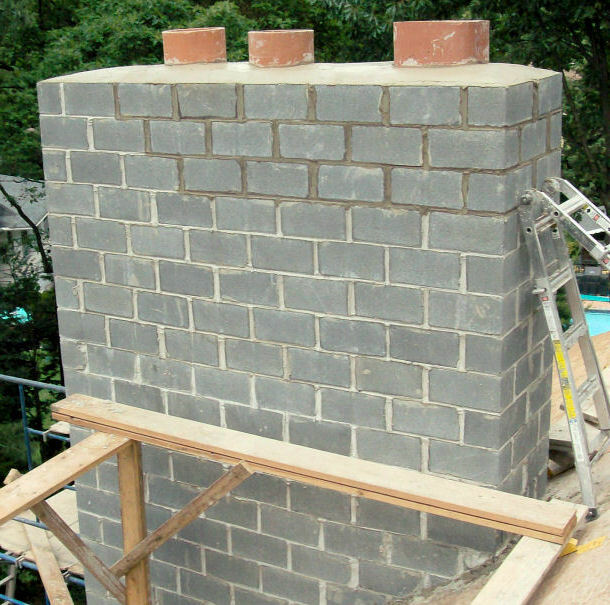 Annual chimney and fireplace inspections are recommended to identify and repair defects to ensure the masonry is in good condition and that there are no deteriorated mortar joints. The most common method of water entry into a masonry wall is through deteriorated, cracked, or de-bonded mortar joints. As soon as you detect cracks or holes in the mortar, crumbling mortar, uneven bricks, or water damage then call Chimney Repair NY at 1-877-952-7425 for professional masonry tuckpointing service. We tuckpoint and repair all masonry and chimney damage for you to prevent further structural damage.